Claiming similarity to the holy pilgrimage city of Kashi (also called Varanasi) in Uttar Pradesh, Uttarkashi (which means ‘Kashi of the North’) is a sacred town in Uttarakhand. Apart from being a common inclusion in Chardham yatra packages from Delhi, the town is also visited by numerous adventure tourists and nature admirers. Home to delightful vistas of nature, Uttarkashi offers a revitalizing ambiance with its closeness to mountain peaks, rivers, lakes, meadows, waterfalls and natural springs. Like every other destination on char dham yatra tour, Uttarkashi has spirituality and holiness spread all over. Uttarkashi, at the height of 3,799 ft., is one of the best places to take rest while heading towards Gangotri and Yamunotri, two of the four char dham pilgrimage destinations in Uttarakhand. The destination boasts of a number of temples and because of its location on the banks of holy River Bhagirathi (the source stream of River Ganga). Family tourists and adventurers join pilgrims to form the ever-increasing population of tourists visiting the town. Ttrek adventures are also popular as the town is the base of many trekking excursions to some extremely exquisite lakes, valleys and meadows. White water rafting and mountaineering are other things to do in here that the tourists love to pursue at this place. How to Reach Dehradun to Uttarkashi? By Air: Take a flight to Jolly Grant Airport in Dehradun (about 170 km. away) and cover the journey from Dehradun to Uttarkashi by road. By Train: Board a train from Delhi to Rishikesh Railway Station (167 km. away), Haridwar Junction (190 km. away) or Dehradun Railway Station (144 km. away) and cover the remaining distance to Uttarkashi by road. By Road: Use public transport buses or private transport facilities like coaches, taxis and tempos from Delhi or other major cities to Uttarkashi. Our Suggestion: If you plan to reach from New Delhi to Uttarkashi by road, follow the route New Delhi – Meerut – Roorkee – Haridwar – Rishikesh – Chamba – Dharasu – Uttarkashi. If you plan to travel by train, get down at Rishikesh and then start the road trip from Rishikesh to Uttarkashi. If you travel by air till Dehradun, prefer Dehradun to Rishikesh to Uttarkashi rather than Dehradun to Uttarkashi via Mussoorie as the former route has comparatively wider roads. The stretch of about 3 km. near Dunda (15 km. before Uttarkashi) and 5-6 km. before Uttarkashi is a bit rough, though it is drivable. Near Chamba, pay attention to the right directions as there are diversions leading to Mussoorie and Tehri. Temples: Lord Vishwanath Temple (similar to the one located in Varanasi) dedicated to Lord Shiva is among the top attractions. There are many other beautiful temples including Kandar Devta Temple, Kuteti Devi Temple and Kaleshwar Temple. 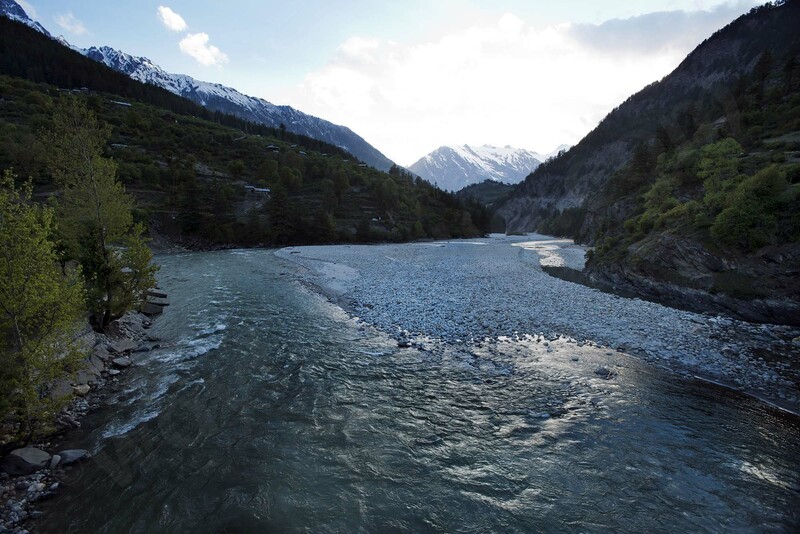 Rivers: Town is flanked by numerous rivers apart from River Bhagirathi. River Tons and Yamuna flow in the close vicinity of the town, lending an enchanting environ to the region. White water rafting on River Tons draws a number of daredevil spirits. Ganga Kinare: An amazing activity is to stroll on the banks of River Ganga (known as Bhagirathi in the region). Many ghats, especially the Manikarnika Ghat (similar to the one in Varanasi) on the river remain crowded. Mountain Viewing: Some distinctive views of the mountain peaks belonging to Gangotri and Bandarpoonch Ranges can be enjoyed from here. Most of them remain covered with snow and boast of unearthly beauty. It is possible to organize mountaineering expeditions to some of these peaks. NIM Uttarkashi (Nehru Institute of Mountaineering, Uttarkashi): A well-known mountaineering institute in Asia, it offers training courses for mountaineers and climbers. Adventure lovers can also organize mountaineering tours around Uttarkashi with the help of the institute. Glacier Treks: Adventure travellers visiting here can organize trekking tours to many famous glaciers in the region. Gaumukh Glacier (the source of River Ganga) near Gangotri is the second largest glacier in India and offers an exhilarating trekking experience. Other similar expedition can be conducted to Meru Glacier from Uttarkashi. Dodi Tal Trek: Dodi Tal, also known as the Lake of Lord Ganesha, is a beautiful freshwater lake. Considered as the abode of Ganesha, the lake is accessible through a memorable trek starting near Uttarkashi. Treks can also be enjoyed to many other pristine lakes like Kedar Tal and Vasuki Tal. 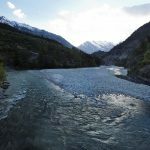 Natural Springs and Waterfalls: Bhagirathi Valley near Uttarkashi gives birth to a number of waterfalls that entice the tourists with their glory. Equally worthwhile are the ensembles of natural springs hushing out of the mountains. Hot water springs exist at Janki Chatti, Hanuman Chatti and Yamunotri. Rishikund at Gangnani on the way to Gangotri is considered as a sacred thermal spring. 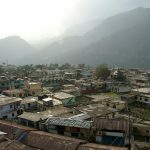 Villages and Hamlets: Uttarkashi has many hidden gems in the form of charming and quaint villages and hamlets, the two popular ones being Harsil (about 75 km. away) and Barkot (about 80 km. away). Each of these places is known for unbound beauty and splendour elaborated by the attractions like fruit orchards and stunning landscapes. Dayara Bugyal: The highland alpine meadow, with the elevation ranging between 10,000 and 12,500 ft., is awe-inspiringly filled with the natural beauty of the highest level. During summers, it boasts of exotically green landscapes while in winters it turns into an exceptional skiing destination. The backdrop of the sky-piercing snow-laden Himalayan peaks of Bandarpunch, Gangotri and Kala Nag and the unfolding of stunning lakes and streams at every footstep leave the visitors overwhelmed. The trek to Dayara starts from Barsu (about 44 km. from Uttarkashi) and the trail passes through the picturesque oak, deodar and rhododendrons forests. Rhododendron Herbal Juice: A speciality of this place is this refreshing juice syrup which is not only delicious but also considered great for heart and immunity. Uttarkashi hotels are available in budget, mid-budget as well as luxury accommodation categories. Some of the popular options include Great Ganga, Divine Palace, Govind Palace, Sahaj Vila, Radhika Palace, Vasundhara and Akash Ganga. In addition, there are many camps and homestays in here. Uttarkashi is one of the ideal holiday destinations for tourists with different holiday moods. Rejuvenate your mind and body in the company of ethereal natural charisma and unruffled environs dominating the place.